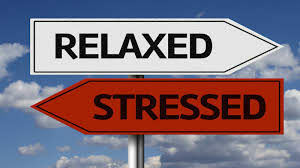 In this crazy world where we move at 100 miles per hour with a cup of coffee in one hand and our cell phone in the other it is important to slow down and engage in relaxing and stress reliving pursuits, also known as self care. I’m sure you know the feeling. You hit the ground running in the mornings and fall in to bed exhausted at night. Your day is filled with responsibilities; your job, your kids, your spouse, your home. Where in all of that do you find time for yourself? When was the last time you took ten minutes to breathe? When we spend our days rushing around with our head barely above water it negatively impacts our relationships as well as our mental health. When don’t take time to eat well, exercise, or sleep enough our stress levels skyrocket, along with our stress hormones, too. This can lead to anxiety, fatigue, and depression. When you are in the middle of a crisis have you ever noticed how your body feels? Your heart is racing, your breathing turns in to shallow pants, and the anxious feeling in the pit of your stomach? Have you ever felt headachey or exhausted after a stressful event? Can you have an emotionally intimate conversation with your spouse in the middle of all of that? Think about it… When you’re tired do you feel very connected to your spouse? When you’re hungry do you feel like you have a lot of patience? When you are at the end of your rope are you able to listen actively to what your children are telling you? How can self care improve my relationships? Taking time to nourish yourself has a ripple effect. When you take better care of yourself this leads to increased levels of patience and tolerance thereby making it easier to handle the stress in your life. Learning to say no will help you learn to not over commit or over extend yourself which will decrease the feeling of being rushed and busy all the time. Setting effective boundaries with others will limit episodes of inappropriate behavior or emotional drama which will decrease your emotional stress toll. What sort of things make you feel relaxed and refreshed? These are self care activities. Is it sleep, exercise, meditation? Here are some self care ideas to get you started. Ladies, consider a nourishing bath routine with bath bombs or bubble bath, candles, and relaxing music. Turn your tub in to a Body Spa Massage. What about a manicure and pedicure? Perhaps some window shopping will fit the bill nicely. Take a moment to drink a cup of tea or a glass of wine and read your favorite book or magazine. Sometimes a good vent session is all you need! The gentlemen that take this suggestion to heart have told me during coaching sessions that they love to play sports, hit the gym, watch a good movie, fiddle with their favorite hobby, and have a beer with the guys. Take the time for yourself each day and after a week or two you’ll see a measurable difference in your relationships. JoyWork Suggestion: Practice three acts of self care daily for a week. Let me know how you’re doing on the Accelerated JoyWorks Facebook page or in the comments below. This entry was posted in Self-Care and tagged Boundaries, Connection, Emotional Intimacy, Stress, Well-being. Bookmark the permalink. 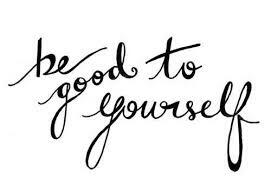 I am so happy to have stumbled upon your page and the reminder of caring for ourselves. I was definitely supposed to find this page today!! I am excited to learn more! I look forward to connecting with you! I’m so glad this was helpful for you today. I am not great at self care. Thanks for the reminder to take time for myself. This is a great read! When I forget to go easy on myself and do some pampering I know immediately. My body simply shuts down when I put the kids to bed. I fall asleep with them :-). When this happens 2-3 times in a row I know it is time to relax. Such a great awareness you have of your body. Do you do much self care? Self-care is a MUST for every women living in the 21st century! We have so many demands on our limited time and attention that we often neglect to schedule in some “me-time”. Result” Burnout, frustration, and a breakdown in emotional and physical wellness. Self care is the antidote. 15-30 minutes of self care a day is a great place to start. We deserve it! You’re so right, Darlene! 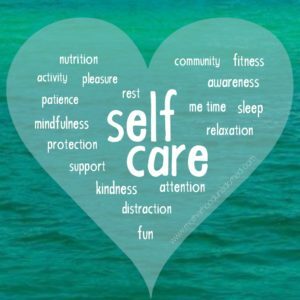 What do you like to do for your self care? I do aromatherapy ( lavender oil & peppermint oil are my favorites) and I burn scented candles too. I enjoy messing around in my garden, monthly manicure/pedicure. Thursday is my technology “detox” day. I turn off my phone and step away from my computer for 7-8 hours so that I can focus on volunteer work that is refreshing. I love your self care plan! It’s so easy to forget to care for ourselves! Great reminder and some actionable advice. Thank you.